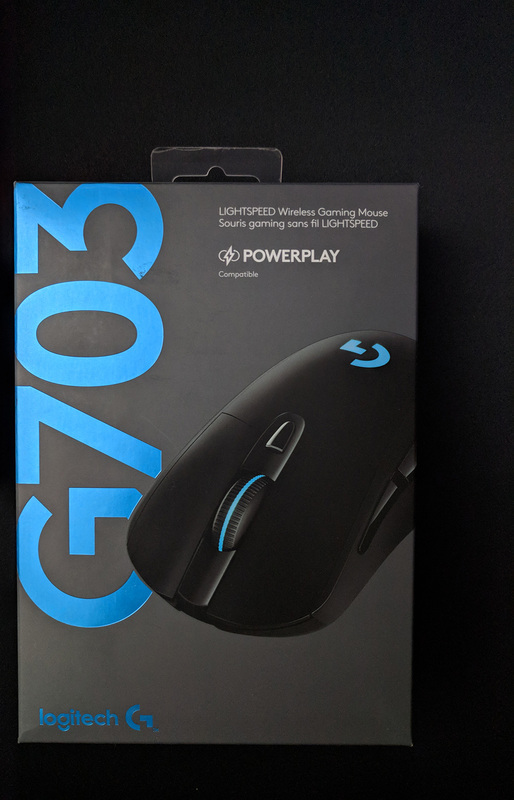 After a few friends told me that I was missing out, I had to take their recommendation regarding the Logitech G703 mouse. 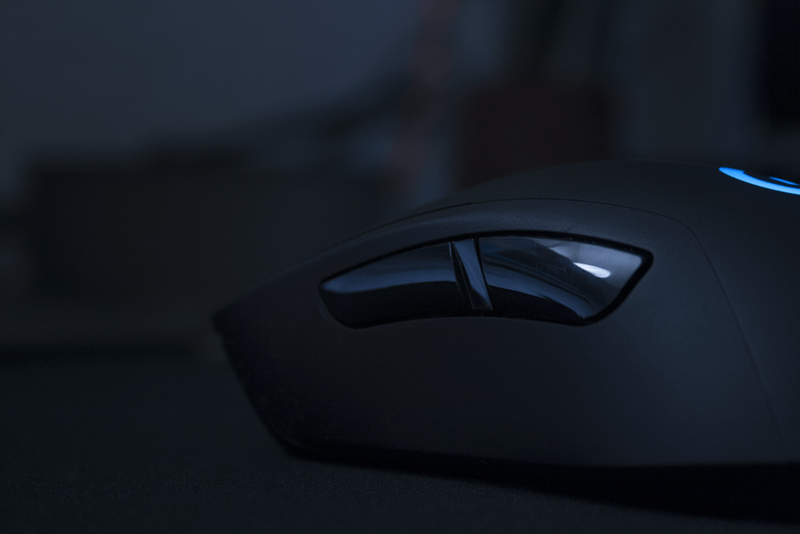 While this mouse is considered simplistic, it still checks every required box to be one of the best gaming mice you might need. 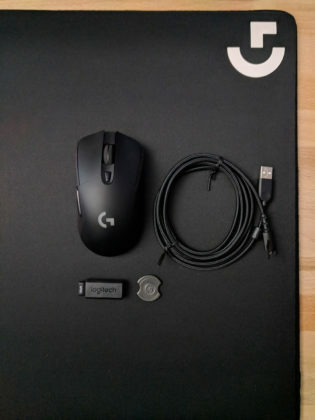 The mouse comes in at 107 grams without the optional weight or 117 with the extra weight. This seems a bit heavy but when you compare it to all of the optional weights included with the Rival 600, this isn’t that bad. I prefer the mouse without the weight because it has enough heft to it that it only slightly heavier than what I normally use. The software is the same as all previous Logitech Gaming mice use. 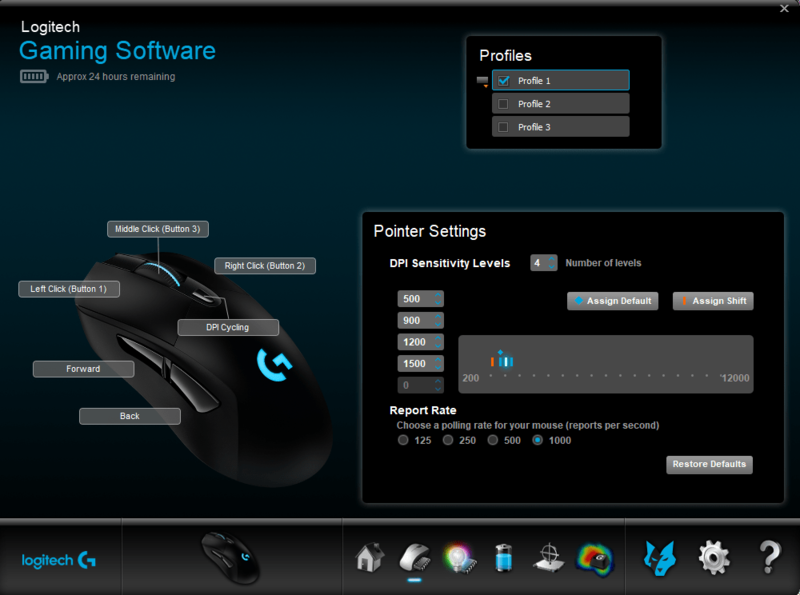 The pointer settings are simple enough to use and they offer up to five sensitivity levels you can scroll through using the DPI Cycling button behind the scroll wheel as well as 3 different profiles you can configure. I did find that the software was very laggy when adding DPI levels, so beware not to add too many at once. 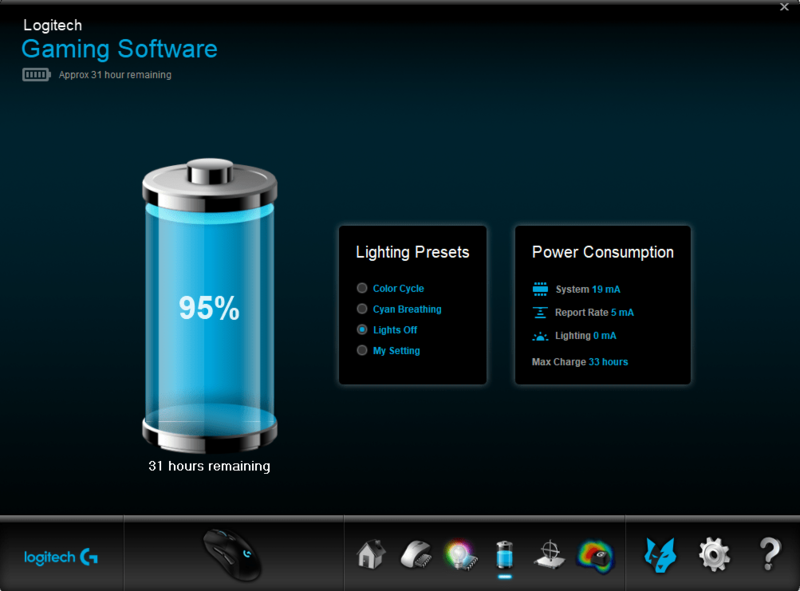 The lighting options are limited and there are only two locations (scroll wheel and logo) to enable/disable in the software. They offer three settings for lighting effects and you can choose between Static color, Color Cycle, and Breathing Effect. The Color Cycle does not allow you customize the spectrum of colors you would like to see. Battery life is displayed in the software and it appears that it has a maximum of 33 hours when the LEDs are disabled, and 28 hours when the LEDs are enabled. Perhaps with lowering the polling rate to 500 or lower, maybe you can squeeze a few more hours out of it. After a day of playing, I do believe that 33 hours is realistic. Unlike non-gaming wireless mice, this won’t last you a week or two of use. This mouse can also be used while plugged in and charging which is a huge bonus in my opinion. There are too many mice that cannot be used when plugged in (llooking at you Magic Mouse 2) and the feel of this mouse doesn’t change when wired or wireless. 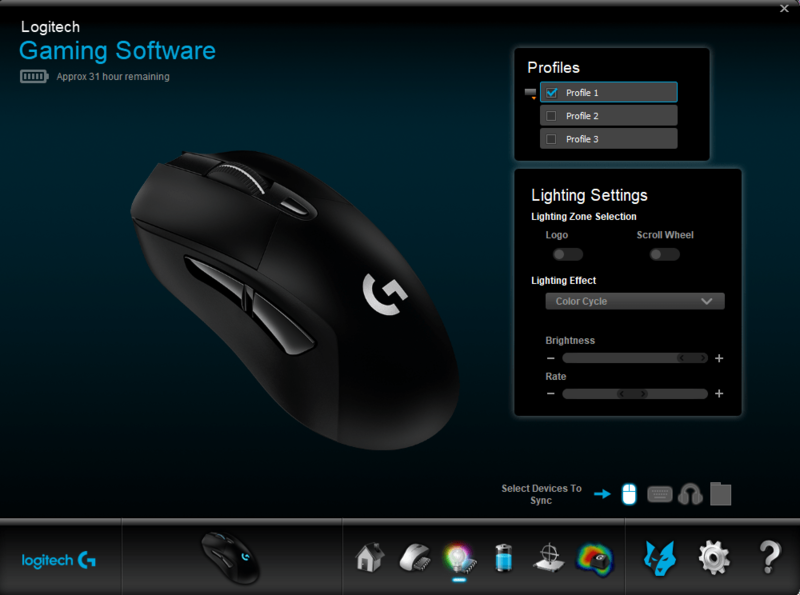 The form is the same as the Logitech G403, and similar to most of the other offerings Logitech has. 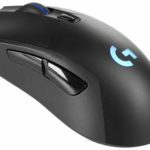 The hump at the back of the mouse feels good resting against your palm, and the side grips are a smooth rubber that makes you feel confident in your grip on the mouse. The left and right mouse clicks are easy to click, but I do wish there was a bit more weight to the switches. The side buttons are good and offer not much room before actuation which people tend to prefer. Update (02-10-2018): After playing with the mouse a bit more, I’m happy with the mouse clicks. I now prefer it to the too heavy Rival 600. The scroll wheel is nice and smooth, but I think it is a bit too smooth and should have a bit more tactile feeling between each scroll. My favorite scroll wheel belongs to the Rival 600 at this point. This is a great mouse and I really do understand why its gotten such praise. The mouse feels refined, the materials feel good against your hand, battery life is more than sufficient and you can use it while plugged in and charging. The sensor is well tested and may be one of the best on the market. This really does check all the boxes one can think of when in the market for a gaming mouse. I approve of this mouse and recommend it. Wireless works just as well as wired. Simple design looks great and functions well. The material used makes the mouse enjoyable and grippy for long sessions. Can be charged and used while wired or used with Powerplay mat. One of the most accurate sensors on the market (PMW3366).